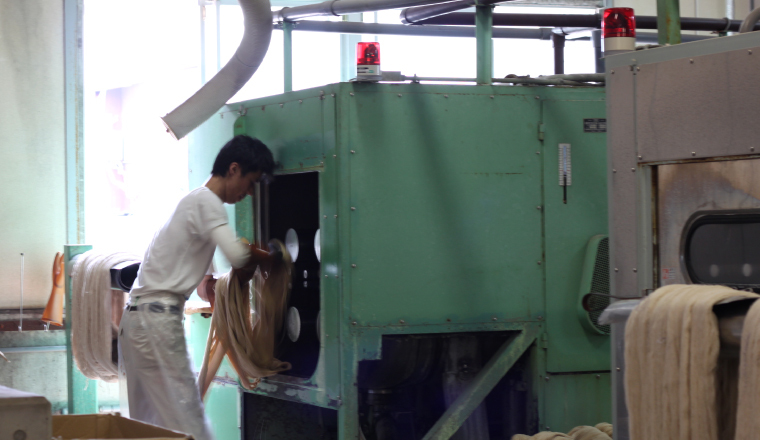 There is a factory of manufacture of DARUMA thread called "DARUMAN" at the foot of Mt. Ibuki that is the highest in Shiga prefecture. 8 o'clock coming, traditional machines start to work with rhythmical sound. And then, craftsman also starts to control thread with trained hand. 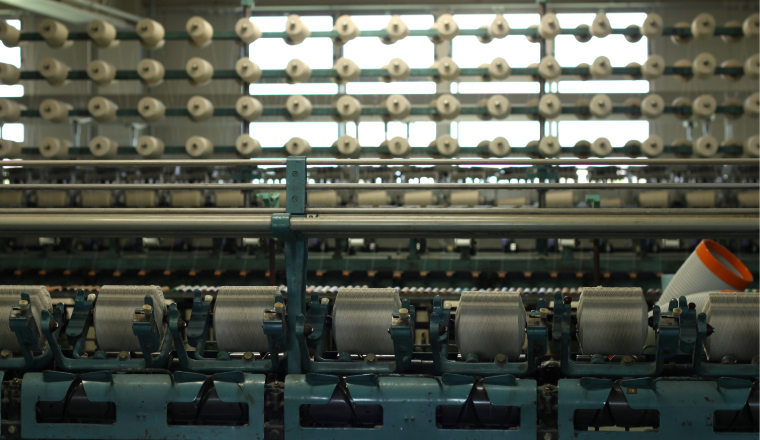 The traditional machine makes thread, but in actually, worker's eye, ear and hand is much more important. They are always working with care about there is wrong point somewhere. points ? " The thin threads were spun from cotton flower are sent from a spinning mill, we twist and strengthen them to become thick, and their feathers are burned in a flame. Because customers use thread with touching directly, of course we consider thickness of thread, also to the strength of a twist, and the quantity of fluff. 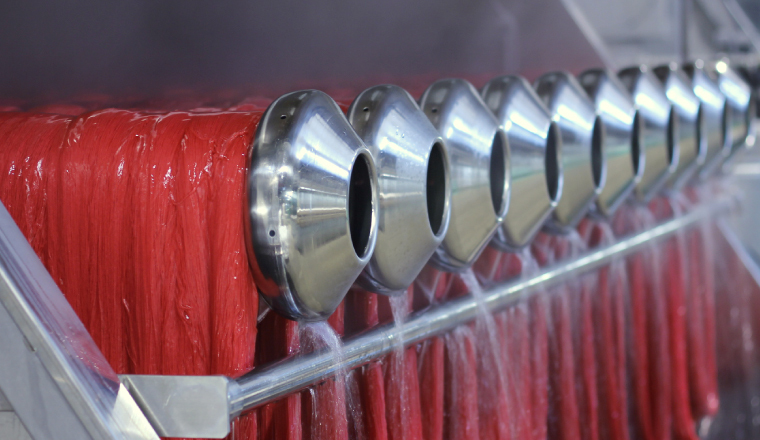 In this way, the thread sending to a dye factory is prepared. 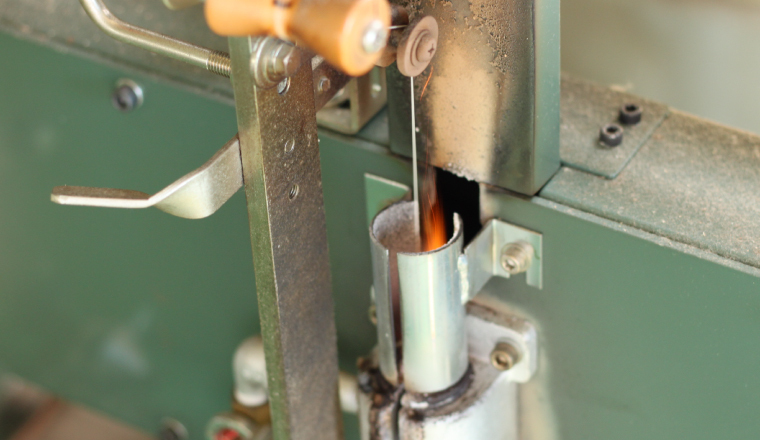 There is one more factory indispensable for manufacturing of thread in Kyoto. This is the Murasakino dyeing factory stands near the Daitoku temple, which is famous Zen temple in Kyoto. 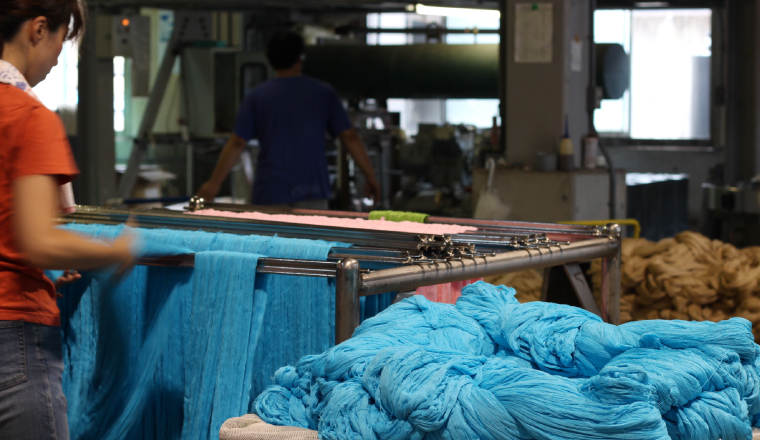 This factory has been dyeing DARUMA thread for over 70 years. 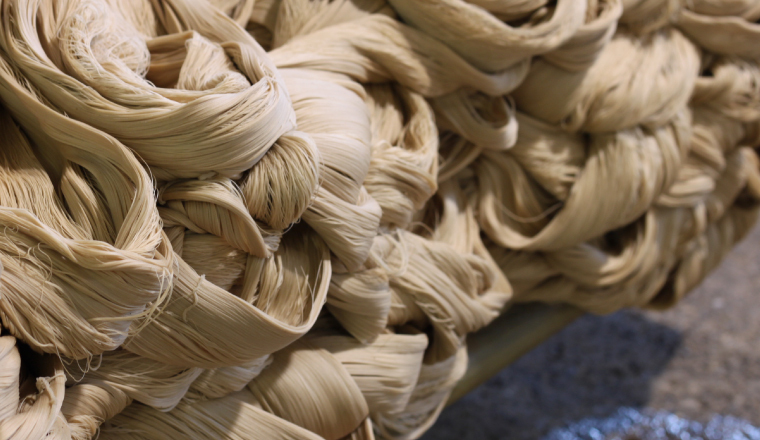 In here, skilled craftsmen process cotton threads to brighter and stronger. That process of pulling the yarn in caustic soda is called mercerization. Craftsman hang hank of thread into the machine skillfully. 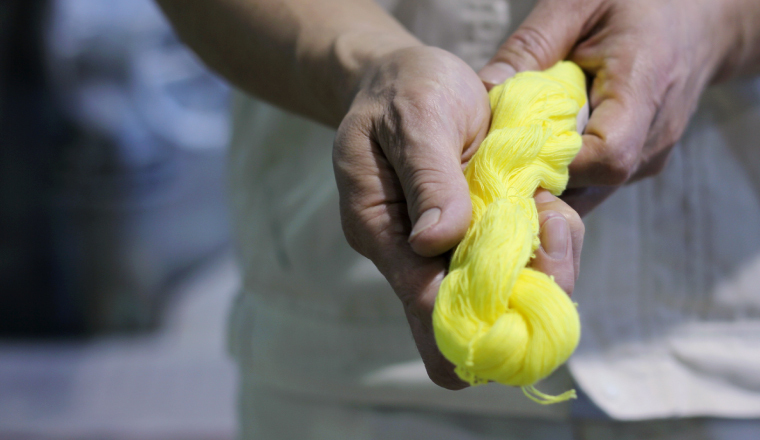 After dyeing, cotton threads shine just like silk. 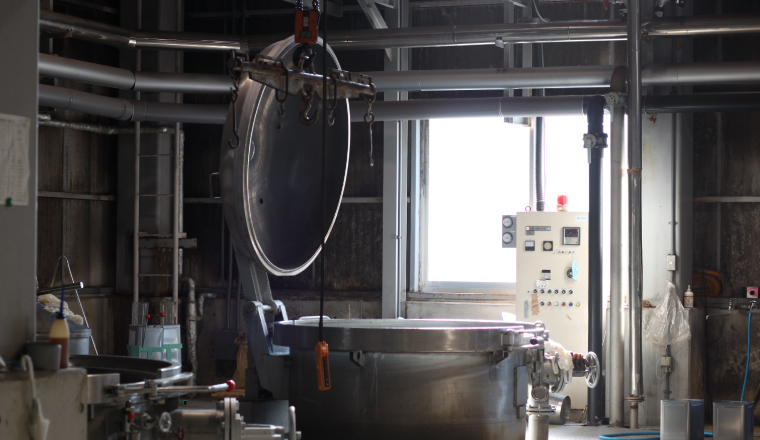 There are big deep dyeing iron pots like maybe cannot climb after falling down. First, mercerized threads are bleached in such big iron pots. 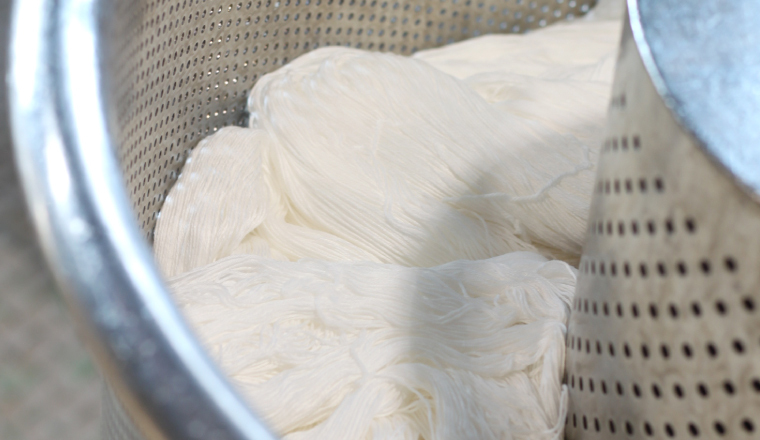 It is essential to prepare the white thread before dye. To dye thread more beautiful color, they prepare much whiter thread. It takes few hours to dye after craftsman hangs thread into the machine during combing the thread politely. After absorbing water, thread becomes heavy weight. They put thread in drying machine with paying attention about thread entangled. There is a moment in which threads made with taking time and effort let us wonder goodness like, "Even there are something different between same thread, it is not clear reason of charm is softness, shine and material. But anyway it is good." 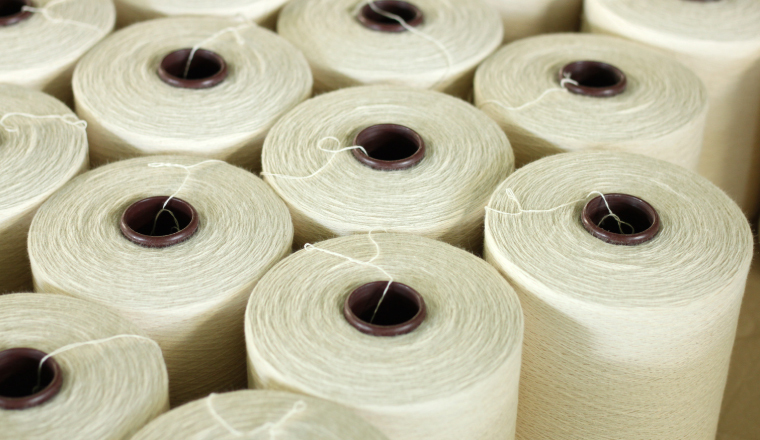 To deliver products that you can feel such a moment, we cherish the process of manufacturing and carefully make yarn politely every day.